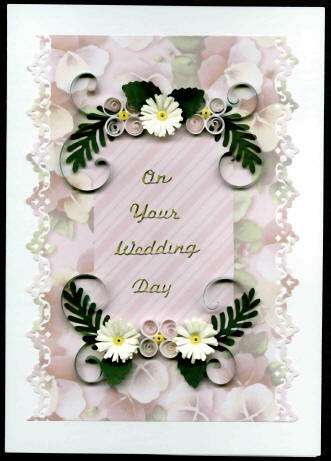 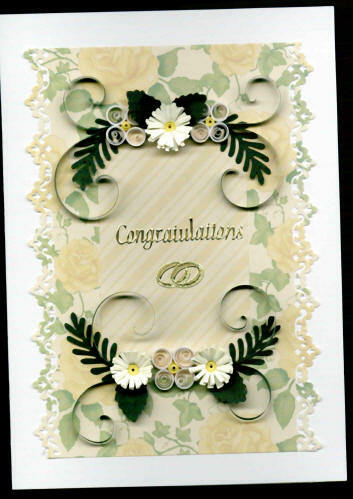 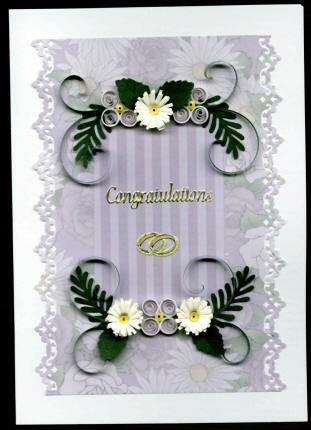 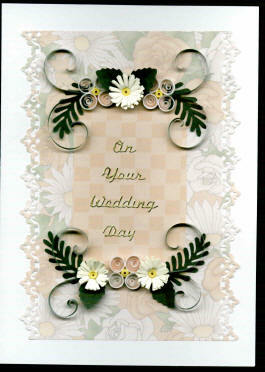 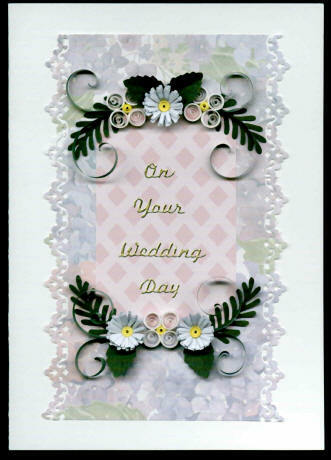 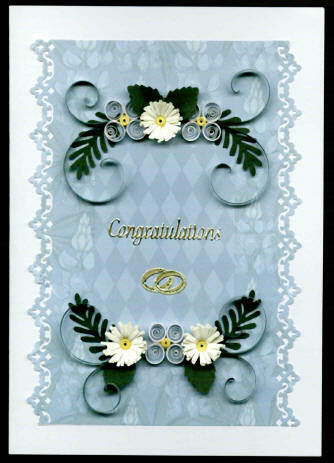 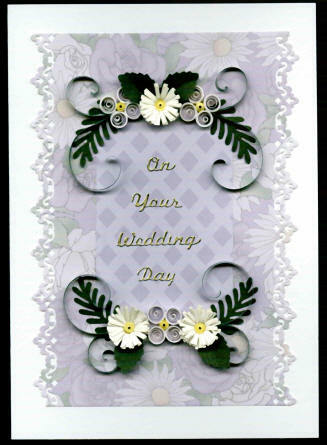 When mailing any Quilled Card we recommend a bubble envelope for protection and ask that it be hand cancelled. 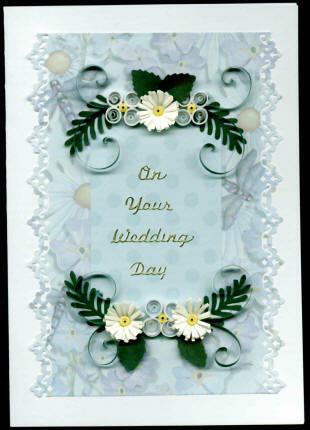 KQ1: Wedding card in soft blues with Lupins on the background . 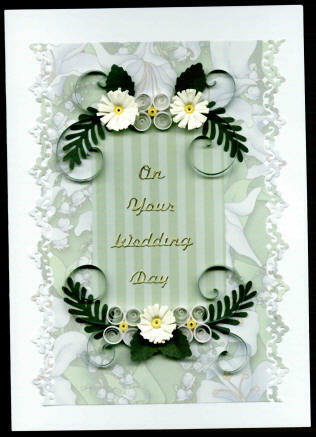 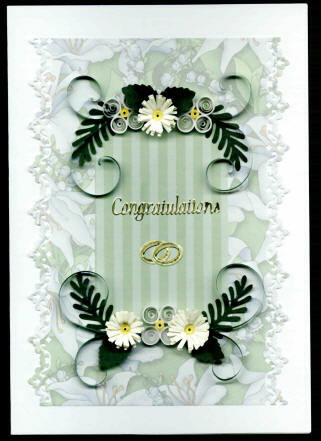 KQ3: Soft Greens and whites with lilies 5x7 card ..blank inside. 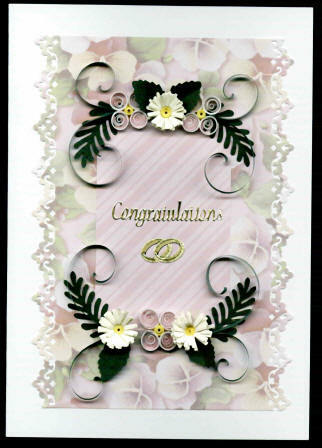 KQ5: Soft Pinks and Rose colored Pansies with creams and greens.